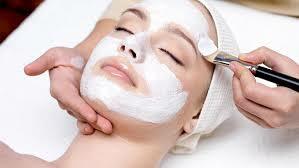 ​Refresher Facial - A mini version of the 60 minute Rejuvenating Facial. Ideal for those who need a quick boost for their skin. Extractions NOT included. ​Beard Facial - Stimulates a healthy way to promote hair growth and kill any bacteria. Hydrates your beard and skin at the same time. Will include some extractions if needed. ​Rejuvenating Facial - A classic, comprehensive, deep cleansing facial to reset and refresh your skin for the month ahead. Extractions not included. ​Custom Enzyme Facial - A deeper treatment for additional focus on your specific concerns. ​Light Therapy Facial​ - For all skin types. Up to 7 different light options dependent on the skins needs. One of the newest forms of facial technology for an effective treatment! ​Firm & Lift Facial - Anti age your skin with this collagen lifting treatment. Reduces pore size, helps firm and tighten skin while it hydrates. ​Peel - Get rid of pigmentation, skin sagging, fine lines and wrinkles. Or if you have problematic breakouts this also is an ideal option for fast results for smoothing texture. ​Microdermabrasion - A minimally invasive skin treatment that will polish your outer layer of skin to smooth your texture and help with discoloration, fine lines, and scarring. ​Back Treatment - Targets a variety of skin care needs such as clogged pores, back acne, and dehydrated skin. Incorporates deep cleansing, extractions, and purifying masks.